Grab some toothpicks and try this classic geometry puzzle ! 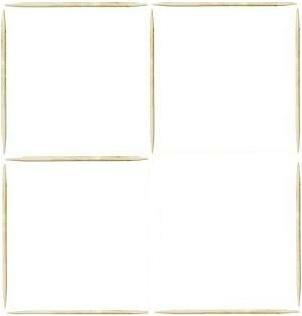 As you can see below, there are 12 toothpicks arranged into a square. How many squares of any size you can make by moving only two toothpicks. 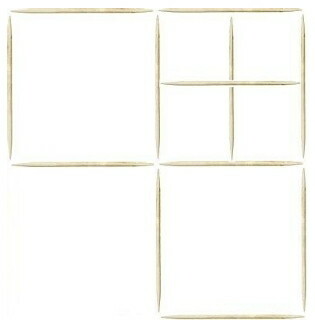 There are a total of seven squares after moving two toothpicks as shown. Remove two toothpicks to leave only two squares. Do you see the two squares? 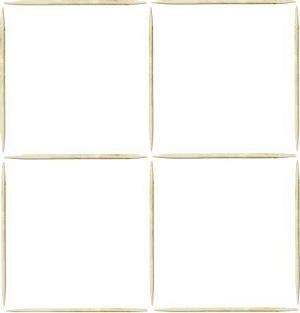 The small square in the upper left and the one large square. If you like these geometric puzzles, you'll probably also enjoy trying your hand at some tangram puzzles.